Sponsored by the Charles H. Revson Foundation, the study is the effort of five design teams chosen by the League. These teams–including MASS Design Group and SITU STUDIO–were charged with proposing exciting new library designs that follow the League’s themes of “integrating libraries into the city’s housing and community development goals, reconfiguring libraries to meet community needs, and developing new ideas for expanding the impact of branch libraries.” The teams presented their work at a January 4th symposium. See each of the proposals, as well as video footage of that symposium, below. This team focuses their proposal on the library as a 24 hour community space. 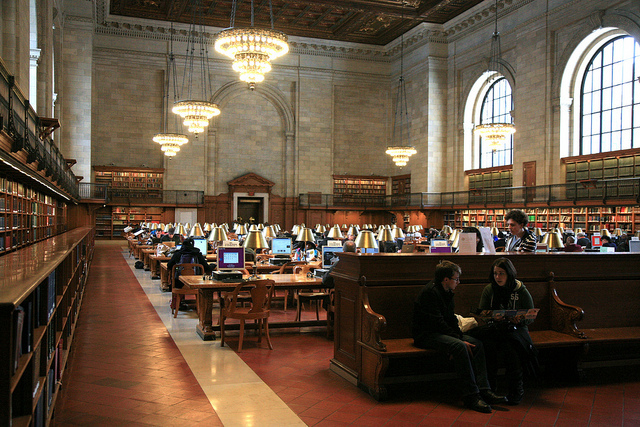 Services such as information booths and book returns would be brought to the front of the building, accessible at all hours of the day. Their design includes public rooms that could be used by outside organizations, even when the library is closed. The library façade becomes an extension of this public space, becoming a place for people to work, play, and gather for social occasions. 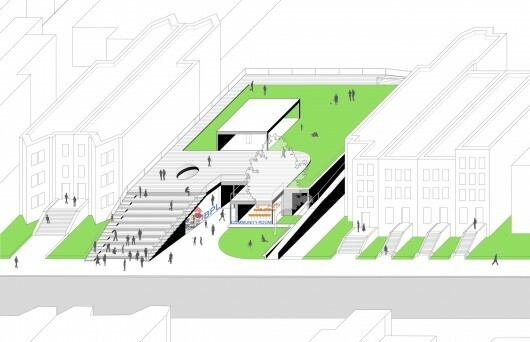 Also focused on making the library more accessible, team L+ (led by SITU Studio) proposes a kind of chain “retail outpost” library throughout the city. 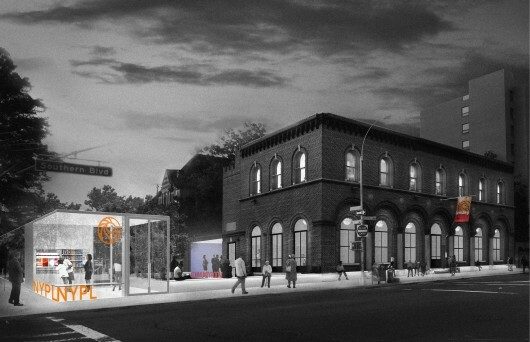 These structures would be customizable in both size and design, being implemented anywhere in the city from transit stations to existing branch libraries. The L+ library stations respond to an increased demand for community programming and would be capable of hosting everything from cooking classes to adult literacy courses, based on the location. The design from this team is based off an in-depth analysis of New York City demographics, including population density, age range, and existing library location. Using this information, the group proposes a scenario wherein libraries are part of mixed-use buildings alongside residential units. 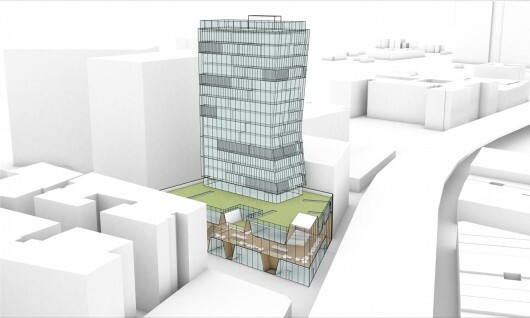 The result is a mixed-use development in the Brighton Beach branch that includes a retail level on the ground floor, a library on the first and second, and housing in the stories above. Working from observations of a set of libraries in southern Brooklyn, MASS Design Group tailored their proposal to best fit the needs of individual buildings. 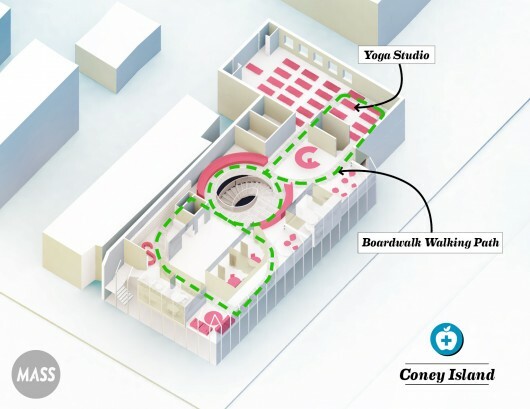 This tailoring includes redesigning the Coney Island branch’s second floor to better cater to nutrition and health programs (such as giving out flu shots). The team’s interventions are meant to enhance the strengths of the selected libraries, but also allow them to provide an even wider range of services. 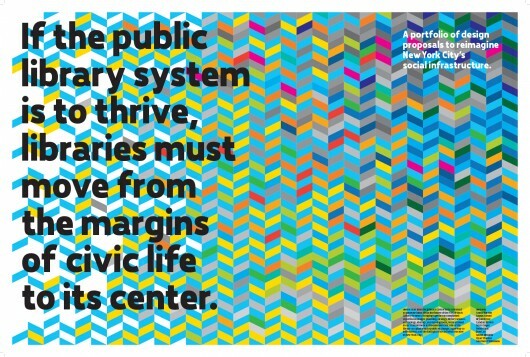 UNION’s self-described interests lie in “narrative and in identifying the essential qualities that make a library feel like a library to its users.” With this in mind, they propose a design strategy that will make libraries a visually prominent part of their surrounding communities. This includes standard signage and library icon and advertising campaigns throughout the city. The team also proposes better access to facilities through library cards that act as keys, granting visitors access to building facilities that may operate outside standard library hours.